Afternoon tea usually resonates with assortment of dainty sandwiches, salads, pastries and the likes of scones, complete with a pot of tea. 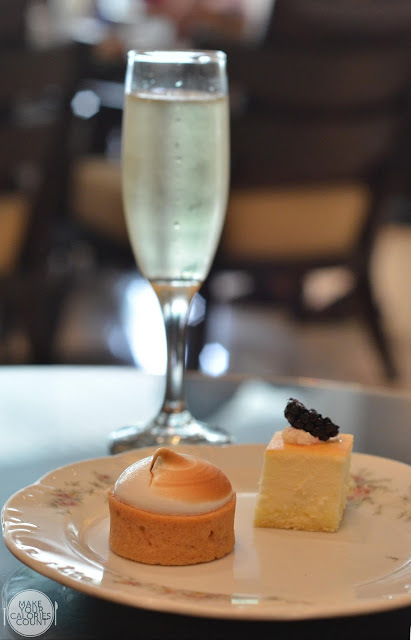 So, what is the difference between afternoon tea and high tea, one may ask? Even though we may spent some eight years living in the UK, I was never quite a huge fan of afternoon or high tea until I had the true experience at Bettys in Yorkshire on a road trip. The tea room in Harrogate which opened in 1919 is probably one of the oldest and most popular spot in the U.K. for afternoon tea. So this hasn't quite answered the question posed above - the difference with high tea but allow me to provide some history. 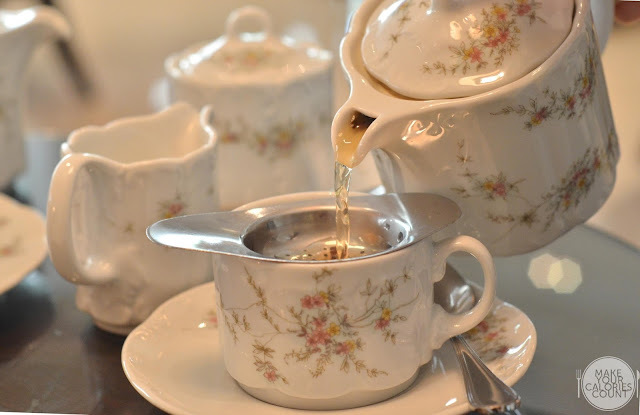 Afternoon tea originated in the early 19th century, a time where tea consumption was on the rise. Initiated by Anna, the 7th Duchess of Bedford, who complained of 'having that sinking feeling' during the late afternoon, As such, afternoon tea was introduced at about 4pm daily just before the fashionable promenade that takes place at Hyde Park. It is however not intended to replace dinner but rather to fill in the long gap between lunch and dinner as the latter is typically served at 8pm. As such, afternoon tea typically comprises light snacks such as sandwiches and scones with a pot of tea to revive flagging spirits. Lifestyles however have changed since and afternoon tea is somewhat regarded as a treat, rather than a stop-gap in the modern world. 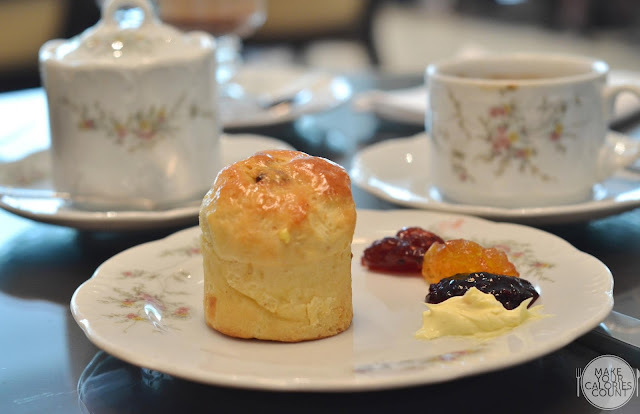 The high tea that some may be more familiar with is actually a more substantial meal of the day than an afternoon tea as it was meant for the middle and lower classes. Timing of service is also typically later at 5-6pm, in place of a late dinner and the differentiation in name came from the height of the tables on which the meals are served - high tea being served at the dinner table while afternoon tea served in the comfort of parlour chairs (usually lower in height) or in the garden. 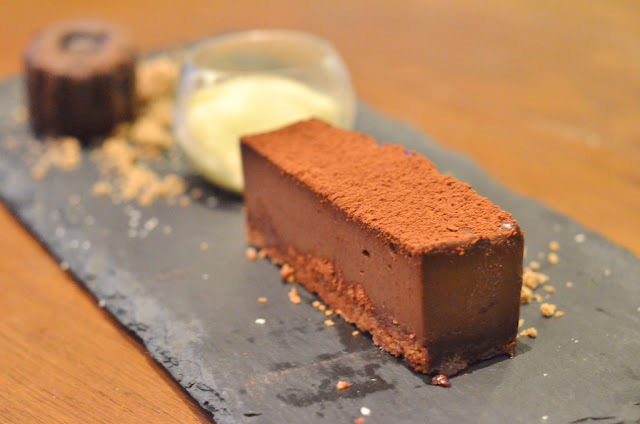 Now that we had the 101s to afternoon tea, let us share our experience at L'Espresso, Goodwoodpark Hotel, often regarded by many as the "place for elegant teatime pursuits". blueberry. Served warm alongside an assortment of strawberry jams, orange marmalade, blueberry jam and clotted butter & cream, we could not resist helping ourselves to a second serving. 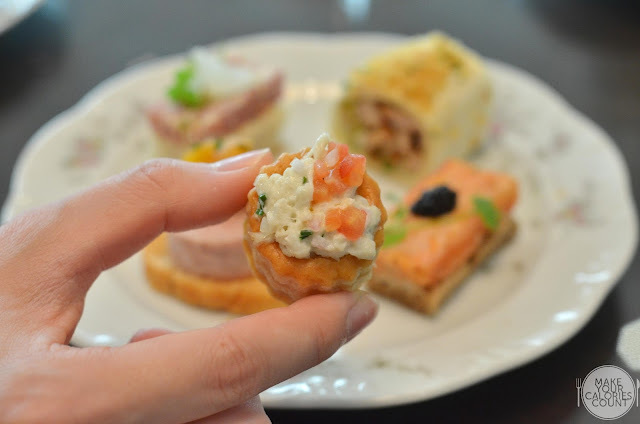 Apart from the usual sandwiches, these open-faced sandwiches, almost canapes-like, caught our attention. With each thoughtfully planned to be bite-sized portions, it is almost inevitable to over-indulge, unknowingly. 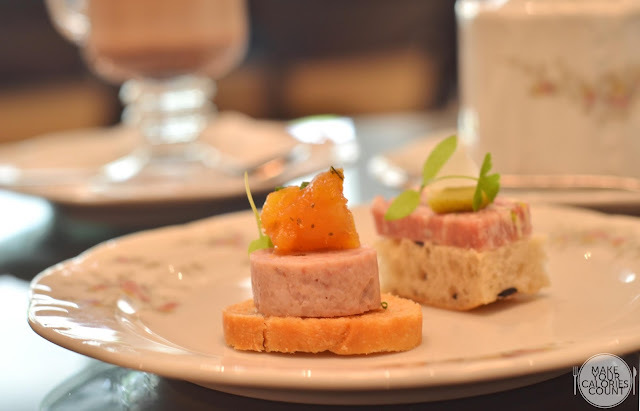 Our favourites have got to be the Atlantic shrimp cocktail with raspberry aioli and the handmade pork terrine with rosemary apricot chutney! However, if your preference is indulgence, duo of smoked salmon with Avruga caviar or the salami & truffle mille-feuille should please. 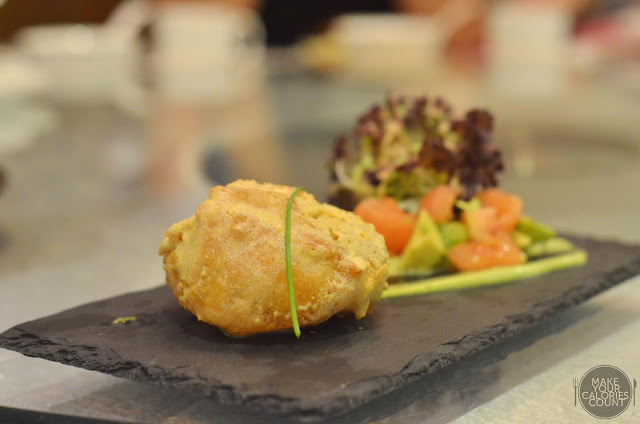 Alas, the savouries need to be balanced by a pot of tea and L'Espresso serves up the premium selects from TWG. 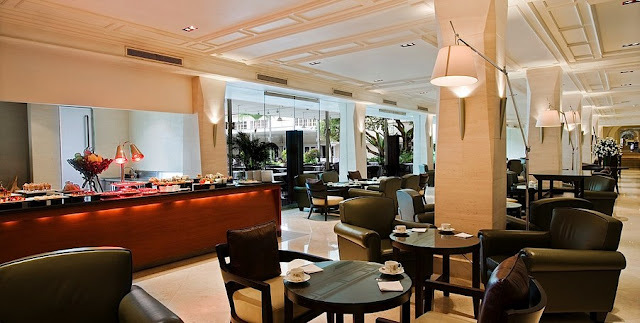 As part of the buffet, each diner is entitled to two servings of coffee or tea. If you are after a rich tea with hints of candied sweetness, go for the exclusive tea blend, Number 1 Tea. Else the Royal Darjeeling is a classic that will not disappoint, albeit a slightly faint brew. 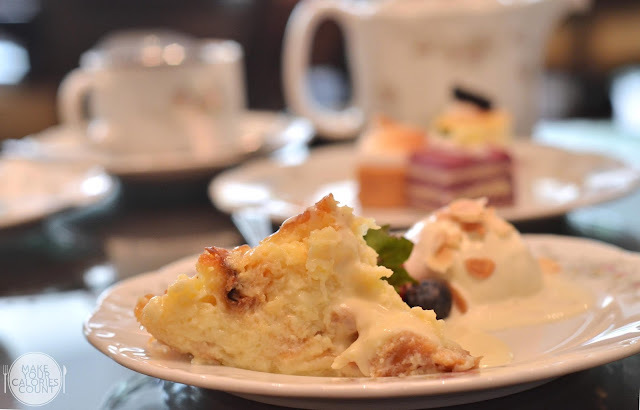 When it comes to desserts, there are no lack of options, with bread & butter pudding being one of our top picks, alongside crunchy hazelnut cake and passion fruit meringue tart! Also, do not miss out the Movenpick ice creams, available in Vanilla, Strawberry and Chocolate flavours. 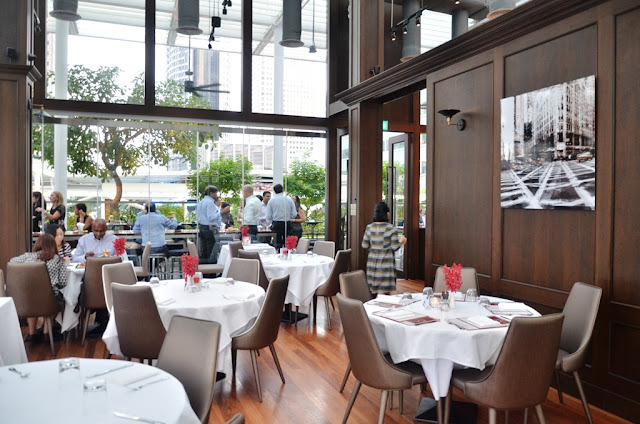 With prices starting at $45/++ for weekdays (Mon - Thu, 2 - 5.30pm), there are also two seating on the weekends at $48/++ (Fri - Sun, 12 - 2.30pm, 3 -5.30pm). 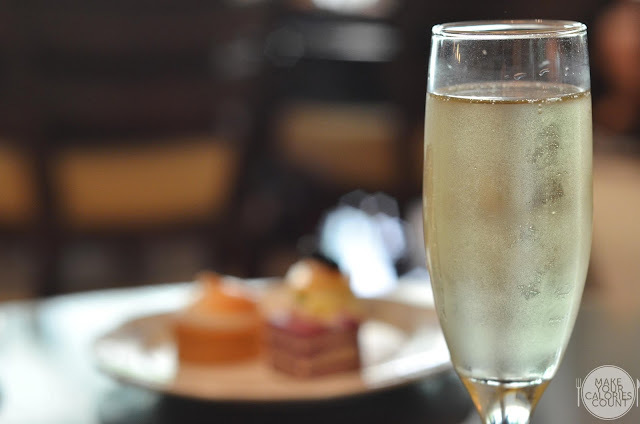 If you are looking to impress your companions, you can also choose to add a glass of Laurent-Perrier champagne alongside two servings of coffee and/or tea at $68/++ (weekdays) and $72/++ on weekends. Lounge away at one of these comfortable and spacious armchairs in a relaxing environment with view to the poolside terrace. Some may find it rather exposed as members of the public would be walking along the corridor since it is located just in front of the hotel's entrance. 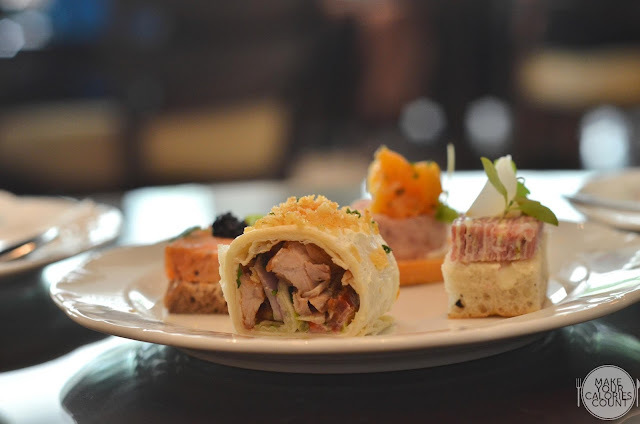 Overall, it was a good afternoon tea experience and for those looking to have a reunion with family or friends, there is a GSS special promotion that is running from 1 July to 14 August where one adult/child dines free with every three paying adults. Make your reservations today! 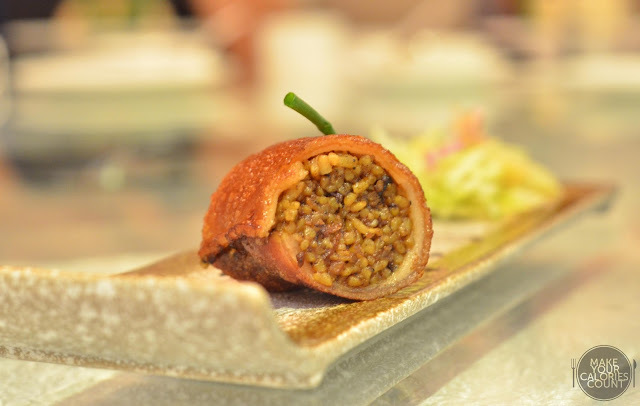 Inconspicuously tucked away on the 9th level of M Hotel on Anson Road sits the first Japanese restaurant that introduced the concept of omakase to Singapore years back. 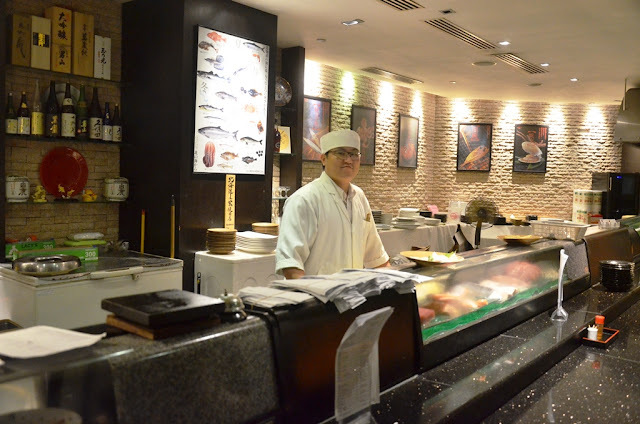 Importing fresh seafood directly from Tsukiji and Sapporo, diners can be assured about the quality of Japanese cuisine served at Hokkaido Sushi. 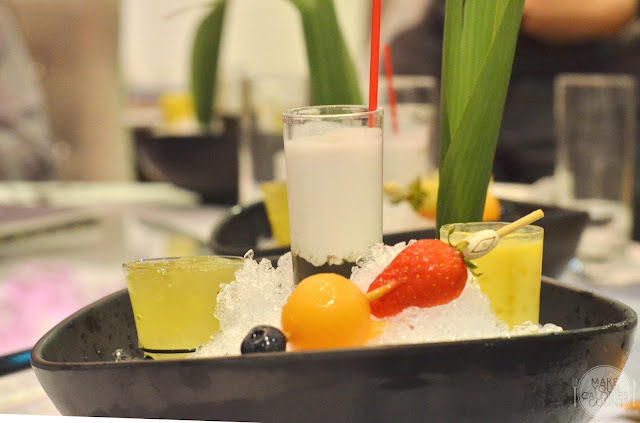 While the regulars would be familiar with their omakase and ala-carte items, their recently launched buffet experience is a real steal. 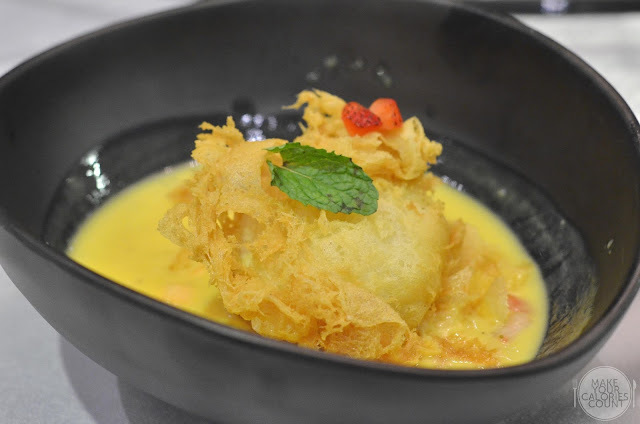 Priced at $38++ for lunch and $43++ for dinner, I could hardly find any reasons not to give it a shot. 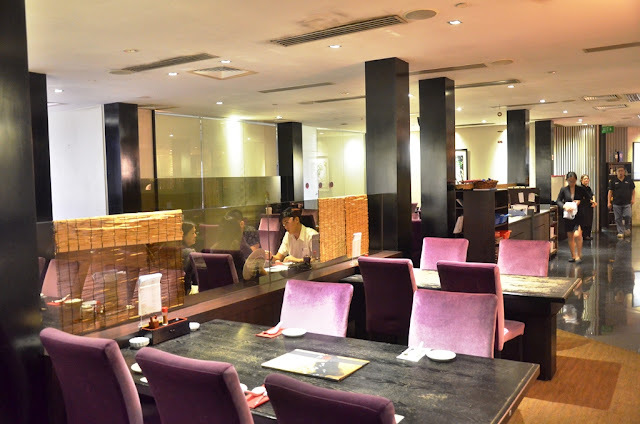 Unlike the usual buffet that has all the items on display, Hokkaido Sushi offers free flow ordering of selected items from their ala carte menu off a chit. 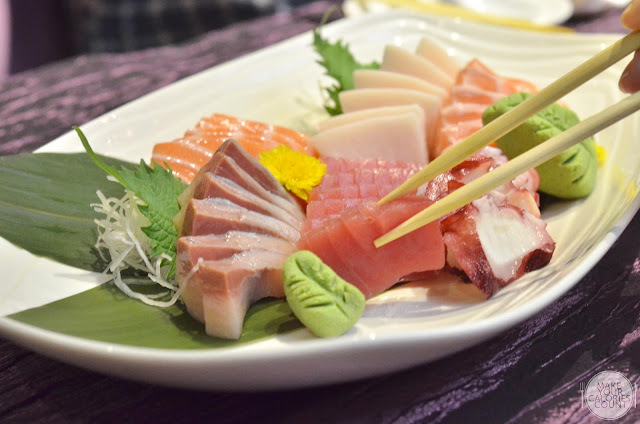 Fresh and generously thick slices of sashimi is no doubt a crowd drawer. With every order serving up three slices of the selected sashimi, expect the usual suspects such as tuna (maguro), swordfish (mekajiki), yellowtail (hamachi), octopus (tako) and salmon (sake). Even though it is a buffet meal but as the orders are ala carte, it helps to ensure the freshness of the sashimi as they are prepared upon order. Also, presentation looks grand if you are planning to host some business associates. 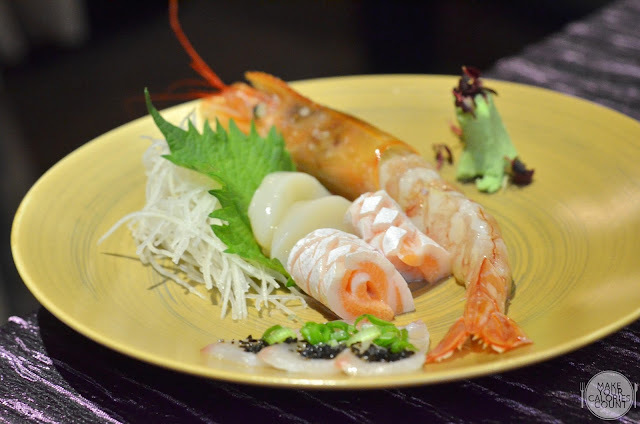 With each diner entitled to one special sashimi order, expect to be impressed with delights such as scallop (hotate), sea bream and king-sized prawn! The sea bream was treated with utmost respect by the chef who cleverly littered truffle onto the finely sliced delicacy. 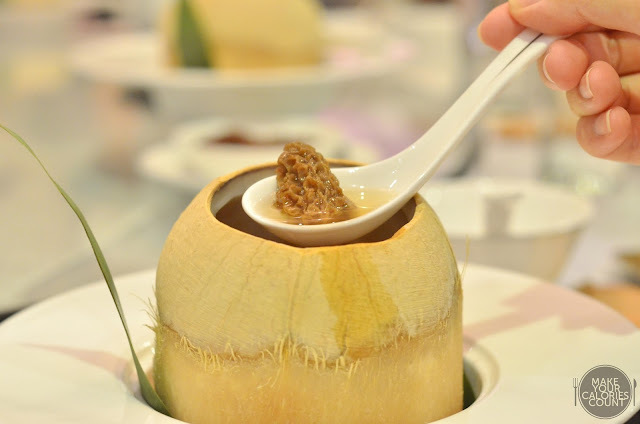 This not only introduced an added dimension of fragrance to the dish but delivered an element of exclusivity to the meal. 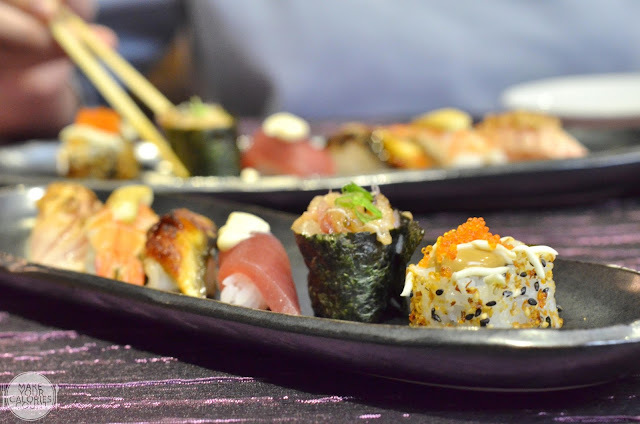 No Japanese meal is complete without some sushi and maki. 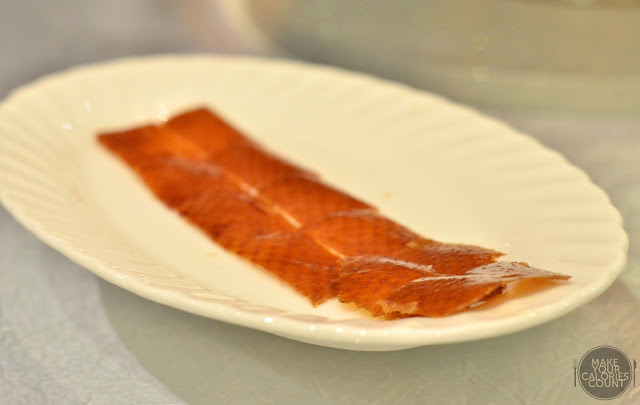 Top picks include Aburi Salmon Mentaiko where the fresh salmon slice sits beautifully on the mildly sweet premium grade Nanatsuboshi rice before a blow-torch sear that leaves a light char. Other than that, we also enjoyed the classic Hokkaido Maki - roll sushi topped with ebiko, homemade special sauce and mayonnaise with a bite of salmon in the centre. Flavours and textures, checked. While I skipped the appetisers and went straight to the sashimi and sushi, those were the real highlights of the buffet. Also, quite frankly, nobody visits a buffet with appetisers in mind. 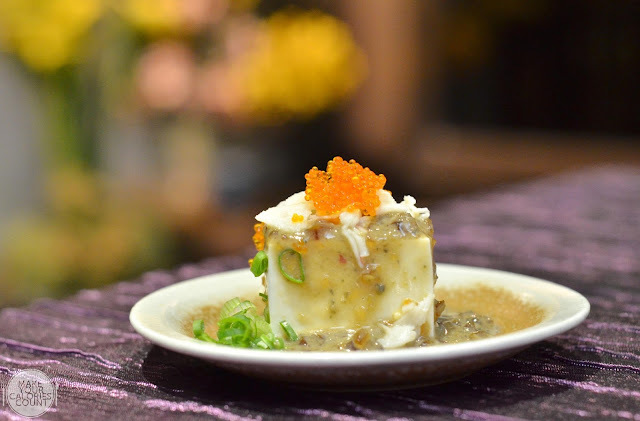 That being said, be sure to check out some of the interesting signature dishes such as Pitan Tofu. 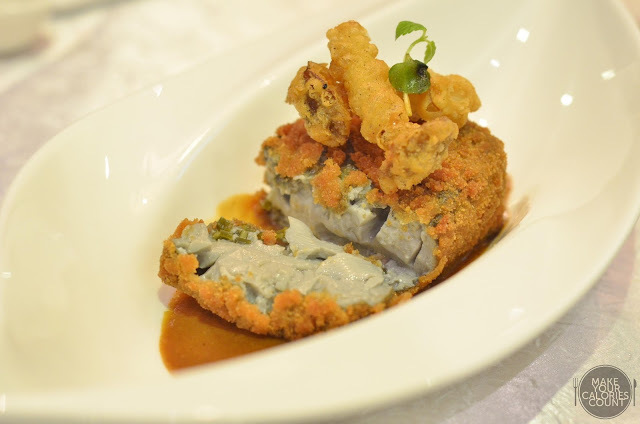 The silken tofu was drenched in a savoury century egg dressing, imparting rich flavours and creamy consistency on the otherwise plain protein-laden dish. For the egg-lovers, rejoice. 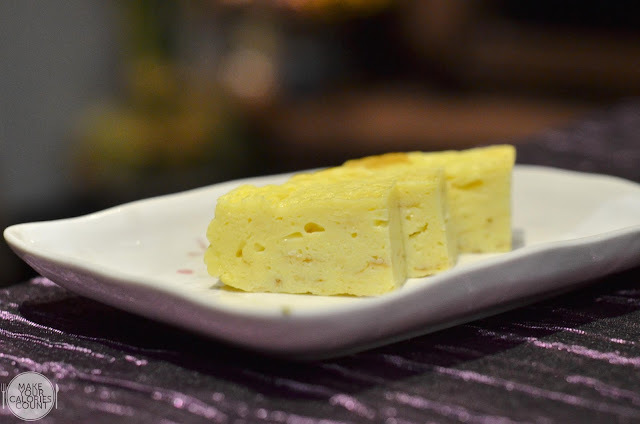 The classic omelette (tamagoyaki) was a delight, bearing a hint of sweetness and just the right density for it to be an indulgence on its own. 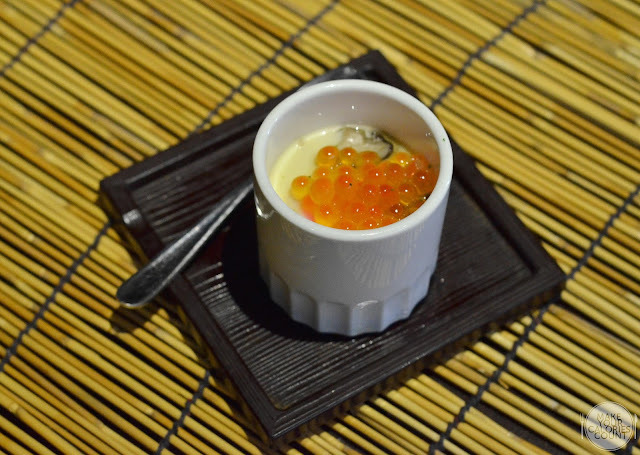 The Ikura Chawanmushi is a must-try in my opinion as the salinity from the salmon roe cut through the richness of the steam egg custard perfectly to leave a refined finishing on the after-taste. When it comes to the grill, go for the salt-grilled halibut, a white fish similar to cod which left a nice layer of natural oil. 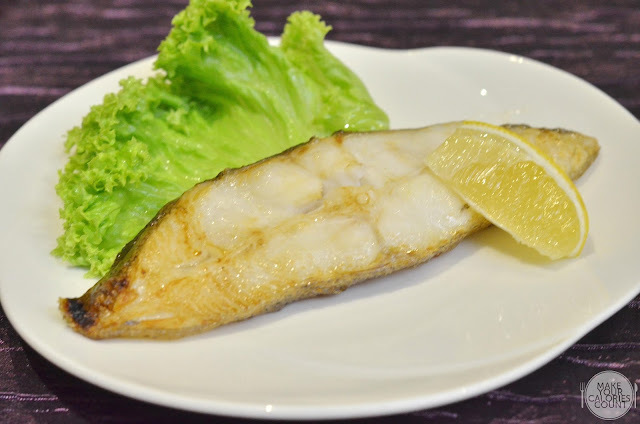 Give that wedge of lemon a gentle squeeze to marry acidity to the fish and anyone would be smitten. 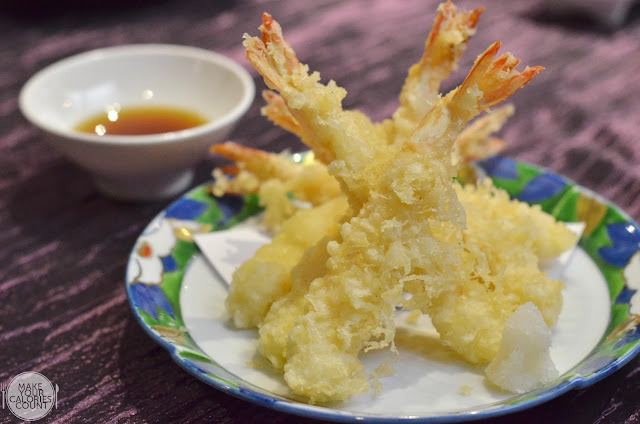 The prawn tempura received mixed critique from the diners at the table. While the batter left a nice golden tan and crispy coating on the prawns, it would have made all the difference if it was taken out from the fryer just a minute earlier. 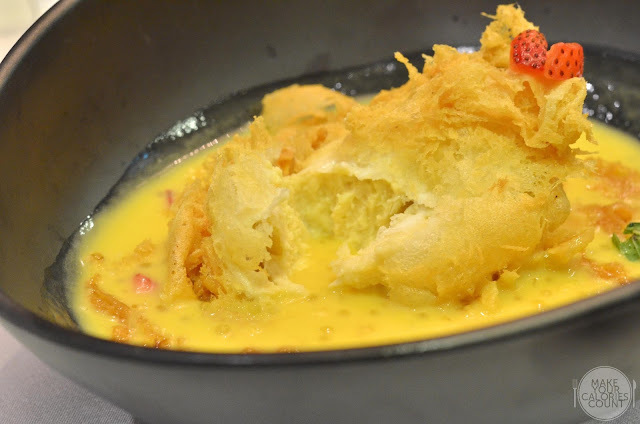 It was slightly overcooked which dehydrated the fresh prawn, depleting it of the much needed moisture to juxtapose the crisp batter. 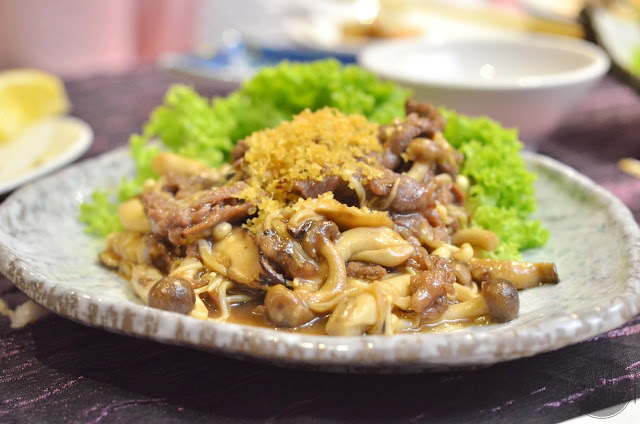 If sashimi, sushi, grills and tempura are not your thing, go with the stir-fries such as this Wagyu Mushroom. With Australian Wagyu beef slices tossed amidst a medley of mushrooms before topping it off with fried garlic bits for the crunch, a fragrant bowl of rice is needed. Just one suggestion, toss in an egg to make it smoother and for that added oomph. 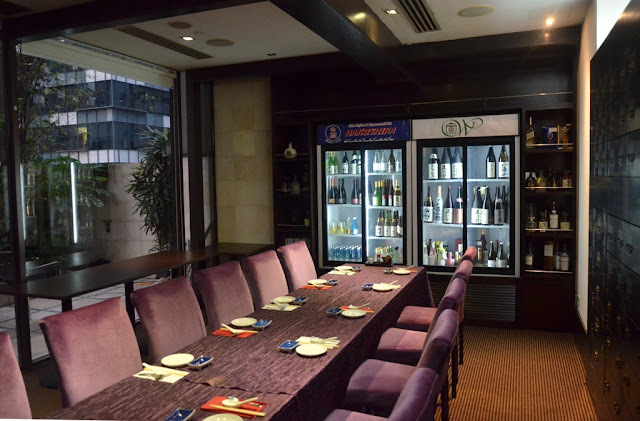 With a capacity big enough to house 120 diners, there are also private rooms which would make it particularly appropriate if you are looking to hold intimate discussions with your dining companions. 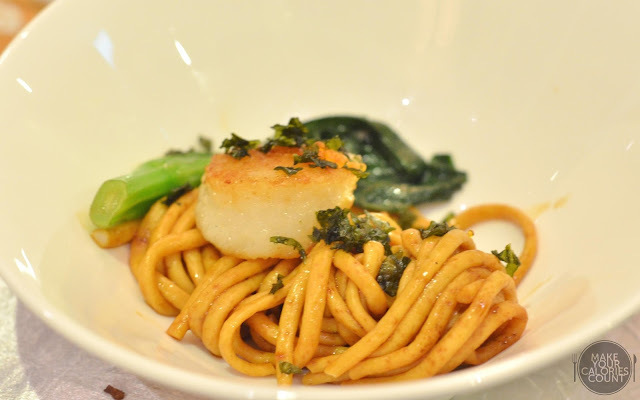 Apart from the buffet set meals, there are also lunch sets ranging from mid $20 to $38 for the monthly seasonal special. For the quality of the sashimi and sushi, it would be hard to barter for a better deal in the CBD area! P.S: Special thanks to Francesca for the invite and Hokkaido Sushi for having us! 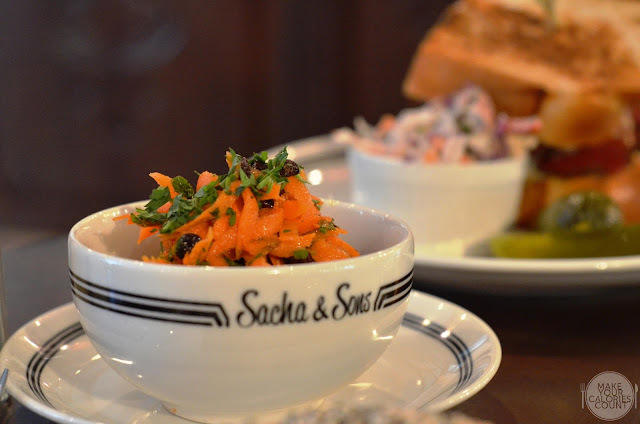 [SG] Sacha & Sons | NY delicatessen serving up 90-year-old family recipes in Singapore! Never quite a fan when it comes to hip places because that generally equates to unnecessary waste of time on long queues. A shopping trip along Orchard Road unexpectedly brought us to Mandarin Gallery and while we were really looking for a place to get away from the crowd and rest our legs, we landed at Sacha & Sons. With a label that reads "family recipes since 1927", I thought that it would be worth a try until tmcy reminded me that this was the hip 'New York Delicatessen" that drew quite a fair bit of attention...in Dec 2014. "Well...better late than never" was her response, accompanied by forlorn glances. 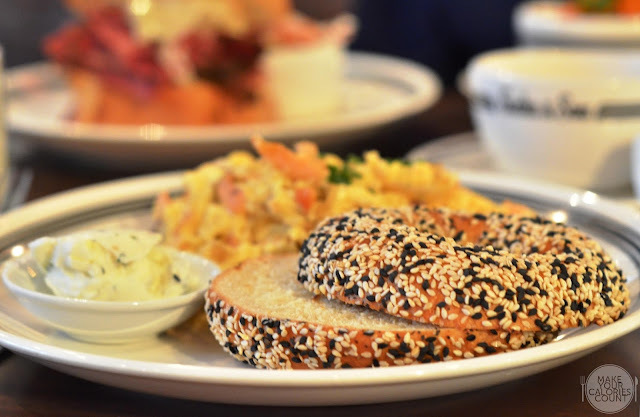 Politely handed over a All-day brunch menu by one of the servers as we loitered at the entrance, the sight of bagels and pastrami on it caught our attention and there we go! Opting for brioche as the carbohydrate, we had the regular portion which saw 150 grams of hand-carved pastrami served atop. 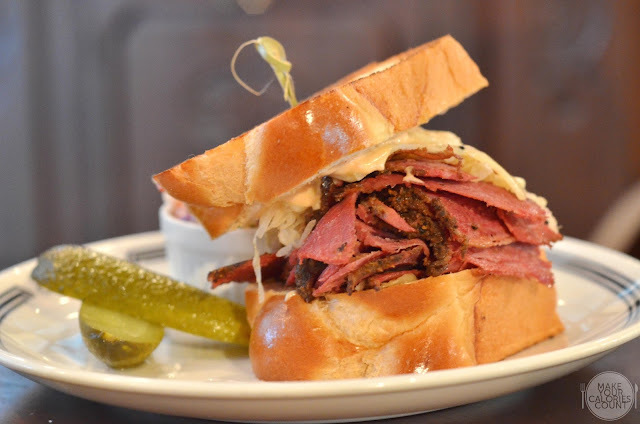 The American experience is never complete without a Reuben sandwich anyway with the slices of pastrami being the star. Brined, partially dried and seasoned with herbs and spices, the brisket was sliced upon ordering. 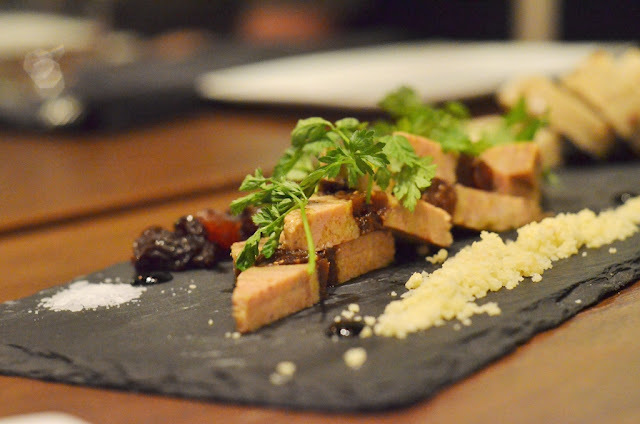 The plate cut (or short plate), from the belly of the cow was treated with utmost care. Cooked to perfection with distinct hues of pinkness, the flavours were robust but stopped short of overwhelming. While the pastrami might be slightly on the dry side for my preference, the accompanying sauerkraut and Russian dressing made up the shortfall. 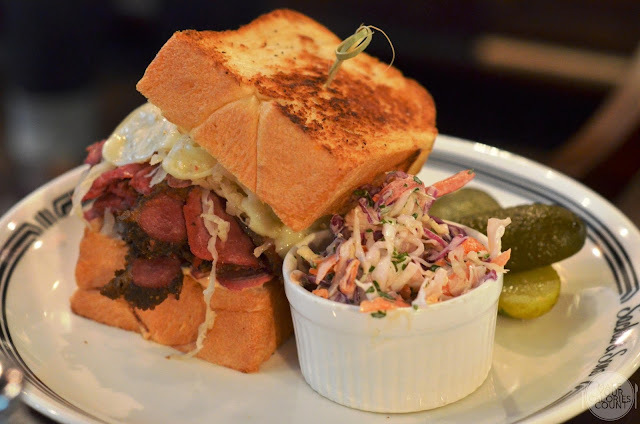 While we were contemplating ordering sides to share, the sandwiches come served with homemade coleslaw. Not usually a fan of coleslaw, I actually enjoyed the clean taste, juxtaposing the otherwise commercial renditions which are typically excessively creamy and satiating. If there is one side you must have, please choose the inconspicuous-looking Moroccan grated carrot. I promise that it is more than grating your own carrots at home. With fresh mint and parsley leaves folded into the bed of grated carrot and juicy raisins, be guaranteed a refreshing burst of flavours powered by orange and lemon zest. Touched by the acidity introduced by the citrus elements, I found balance in flavour complemented by the natural sweetness of the carrot. 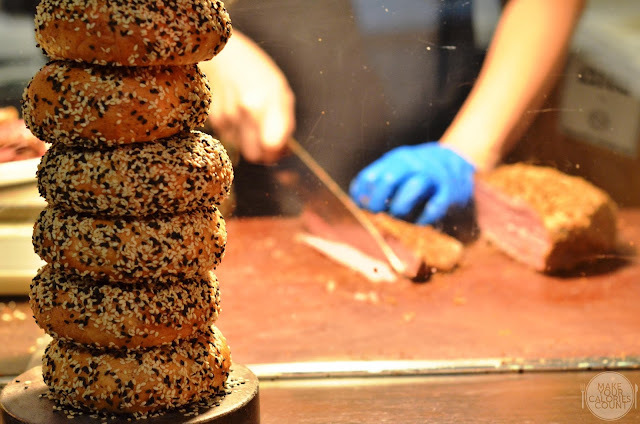 It would be a crime, almost, to not try their bagels. 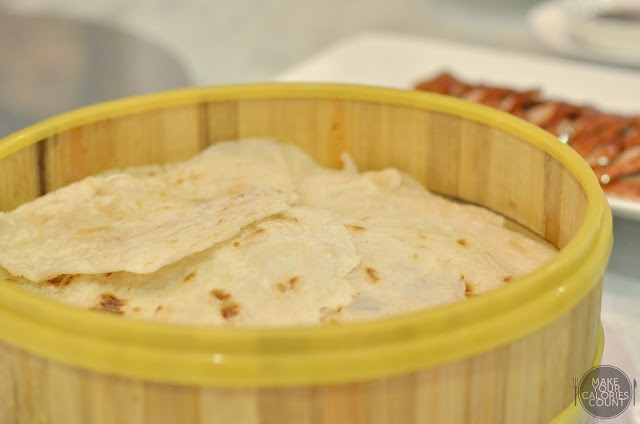 Hand rolled, boiled and baked from scratch - never deny the old school way of doing things right. Comes complete with a generous slab of cream cheese, liberate yourselves and indulge a generous spread on your freshly toasted bagel. With a choice of sesame or pumpkin seed bagels, we opted for the latter though the order was mixed up and was served the former. Quite frankly, I did not notice it until doing this review as I was already fighting to put off my impulsion on tucking in immediately - of course our cameras have the privilege of being first-to-eat. I enjoyed the crispness of the bagel while the dough gave a nice chewy texture. It reminded us of our university days back in UK where we would wait out between lectures and seminars over our favourite smoked salmon bagel! Mildly disappointed by the appearance of my smoked salmon as I was expecting it to come untarnished. 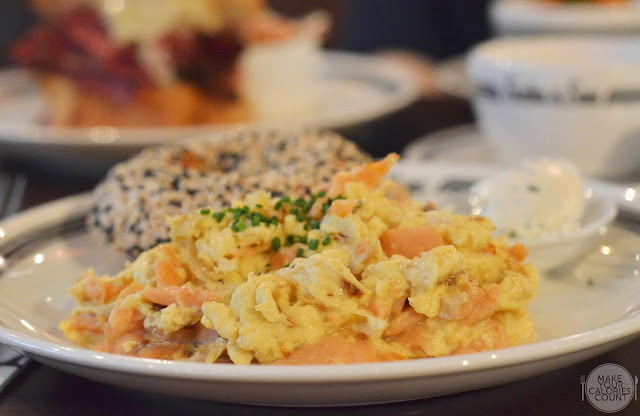 It was actually tossed into the scrambled eggs and while you could still enjoy chunks of it, I generally prefer my smoked salmon whole and not cooked. 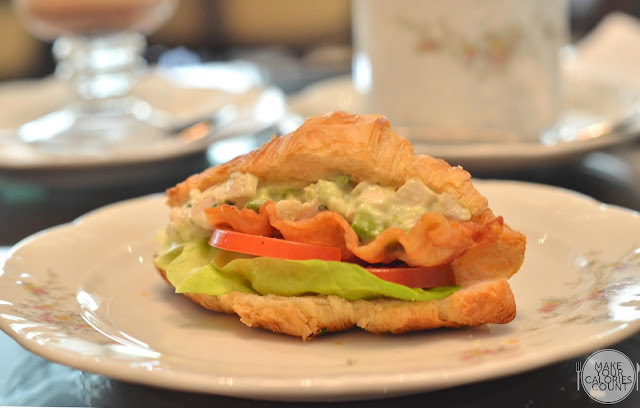 The salinity and smokiness were balanced out by the richness of the cream cheese which added depth and flavours to the innocent looking bagel. 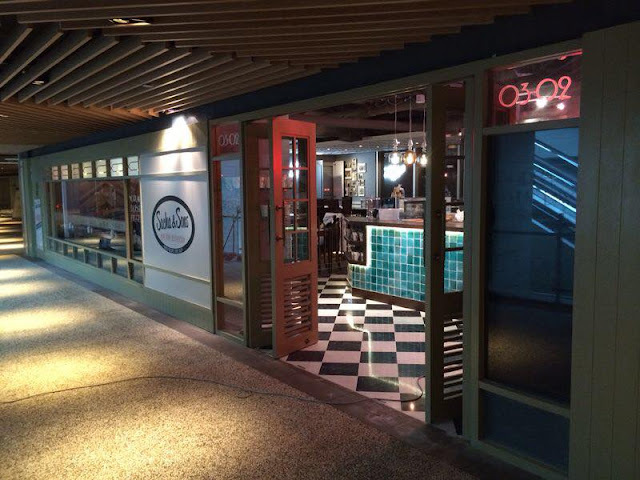 Theatrical displays in any form always draw attention in a restaurant setting. The extended presentation of a simple cup of varlhona-based chocolate drink served in a separate canister before being poured into the porcelain mug made us sit-up for my usual Long Black Coffee (S$5.50++) hardly needs an introduction. 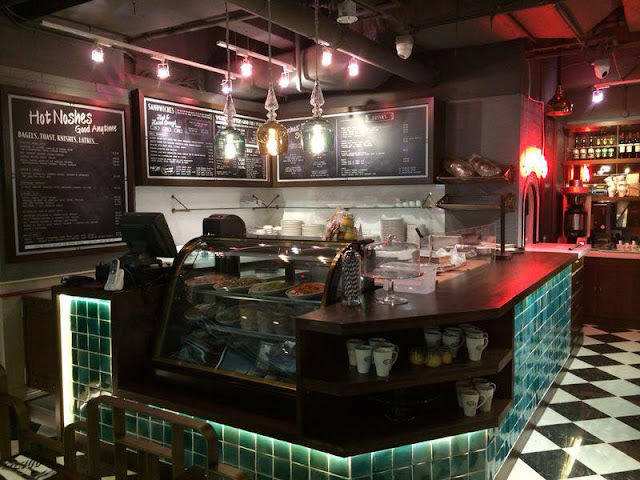 If you are a fan of brews from Common Man Coffee Roasters, you would not be disappointed with the coffee here as they come from the same source. 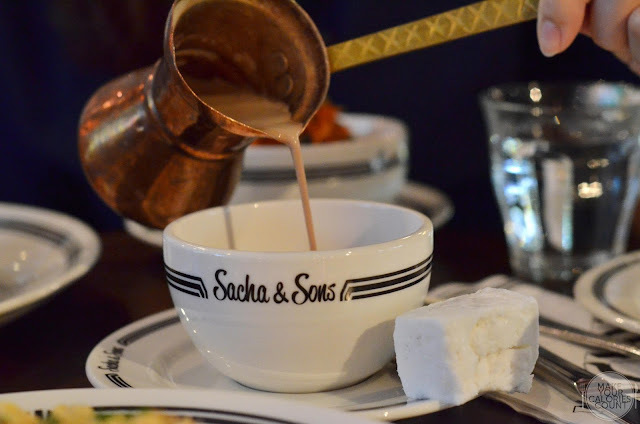 The richness of the chocolate was enough to please the lady though she still preferred Angelina (Hong Kong) but the homemade marshmallow made a difference. The only complaint was that the drink could have been served warmer as the relatively cold environment cooled the drink quite quickly. 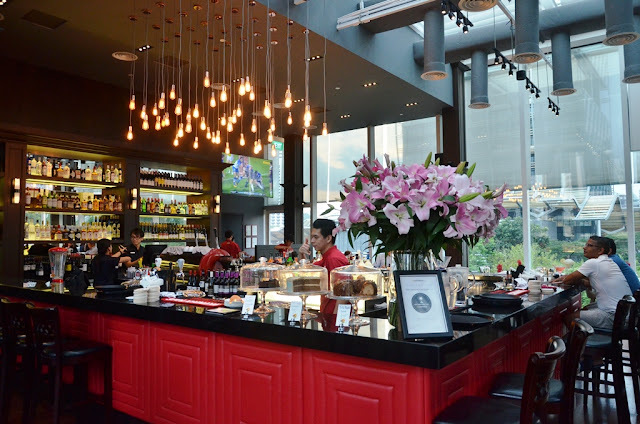 Overall, we enjoyed the food and experience though during the visit, it was relatively quiet so I cannot say for sure on a busy Sunday brunch session at 12pm. The service was immaculate as we were greeted upon entering and leaving the premise. They were attentive to the levels of our water glasses and needed no reminders to top it up at any time. 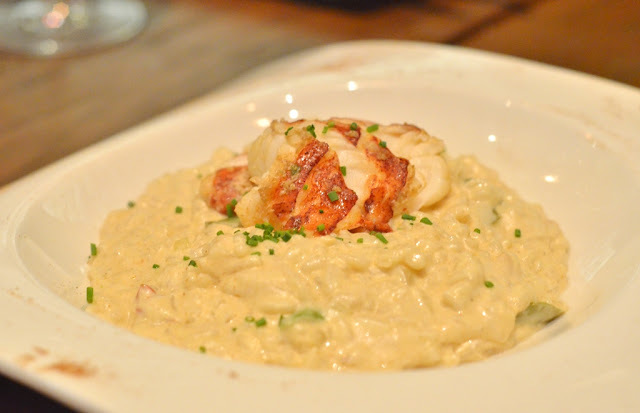 If you do not know what to order, ask for recommendations and the folks would be more than happy to help out. The best part - they do not oversell as I wanted some sweet treats but they told us that our orders would be quite filling for two pax and could wait till we are done with our meals before ordering desserts. Nonetheless, they recommended the sundae and that would be on our to-try list in our next visit. 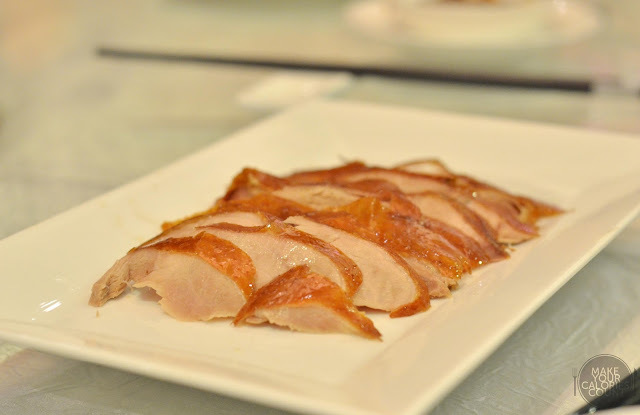 A note on payment, unlike a typical restaurant, expect a deli experience. Place your orders and payment upfront at the till and food will be served to you after. Will we return? For sure, and I already have my orders planned. 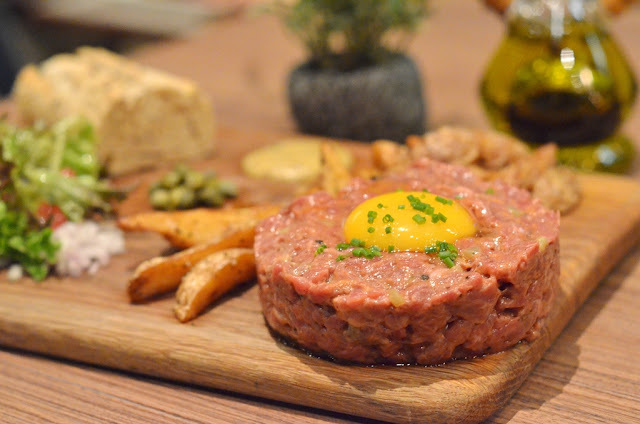 While most CBD folks would be familiar with The Rotisserie, few would be aware about another brand under its portfolio, the Dallas Restaurant & Bar. 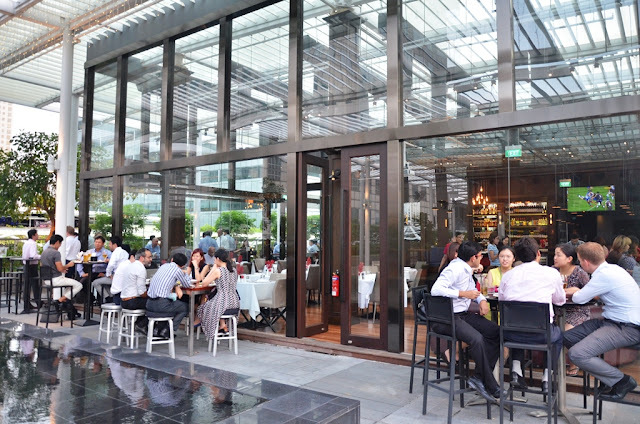 With its first opening back in 2006 at Boat Quay, the second restaurant opens at Suntec City's sky garden providing a sweet spot for after work chill-out sessions. 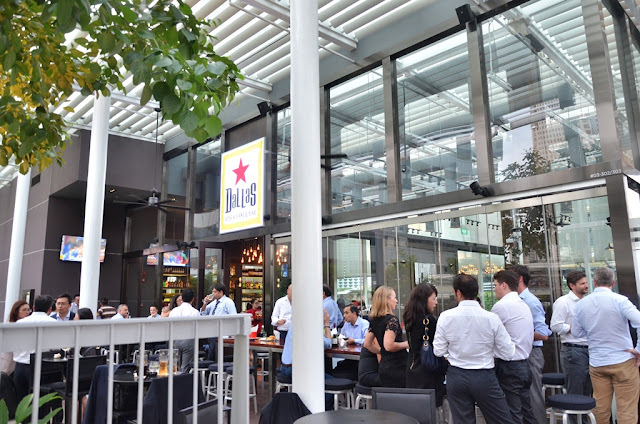 Given everyone's penchant for happy hour, Dallas similarly runs the session from 11am till 8pm where house pour wines and spirits go for S$12++ and draught beers for S$14++. 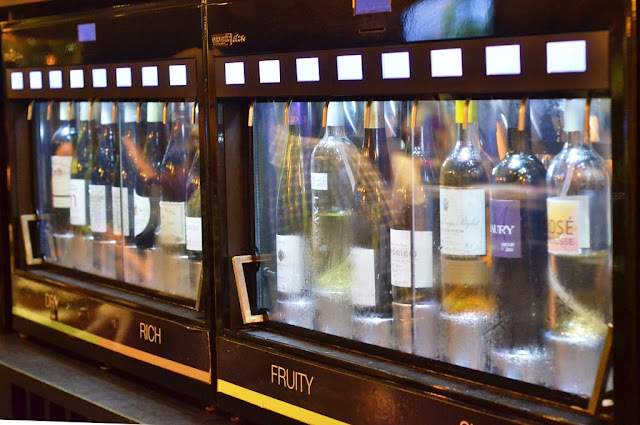 Not exactly the fairest deal in the CBD area but expect to be greeted with an extensively curated list of drink options ranging from quintessential cocktail classics to New World wines and champagnes. A cursory glance at the menu suggests Mexican so we started our evening with some taco options! Some delightful colours on the platter! 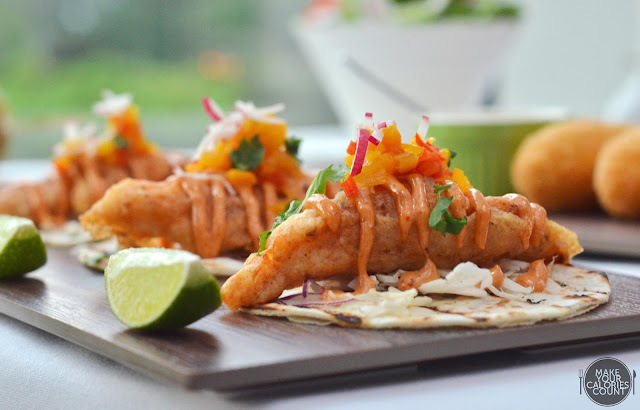 Expect generous chunks of deep-fried snapper laid on the mini tortillas with Spanish onions, cabbage and a gorgeous pineapple chutney! Topping it off with that Chipotle mayonnaise introduces an element of heat in each mouthful. The tender fish coated with a light batter was cooked brilliantly to a tantalising golden brown tan and I could not resist having my hands on the wrap! 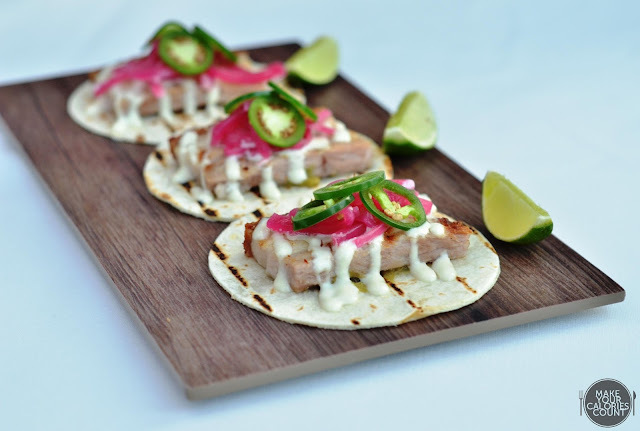 My personal favourite for the night was this - crispy pork belly on mini flour tortilla with guacamole spread and drizzled with homemade aioli. The pork was cooked to absolute perfection with that lovely crackling at the back of your mouth. I also enjoyed the tender meat which gave that much desired juiciness to the tortilla. The only drawback for me was that the flavours of the guacamole were masked by the dominating creaminess of the aioli. Squeeze some of that lime wedge to introduce a subtle level of acidity which I promise would make all the difference. If you are sharing with friends and one is not enough, please feel free to get add-ons at S$5++ each. 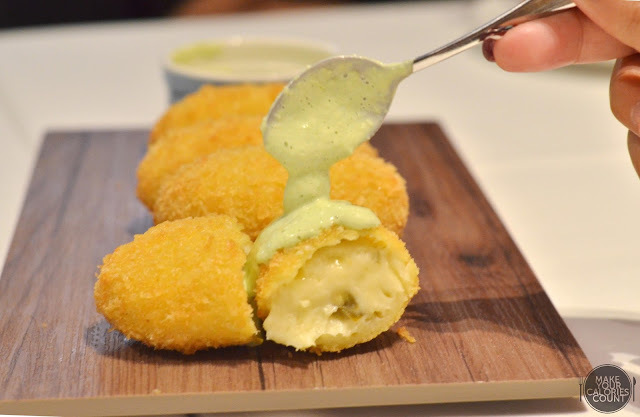 For those who love their creamy bites, these deep-fried nuggets of breaded mashed spuds mixed with bechamel sauce, shredded cheddar and chopped pickled jalapeno peppers would ignite joy in their eyes. Served with the green chilli mayonnaise, I found the heat rather muted and would have preferred a greater kick in flavours. Else the added richness made it slightly too satiating for my liking. 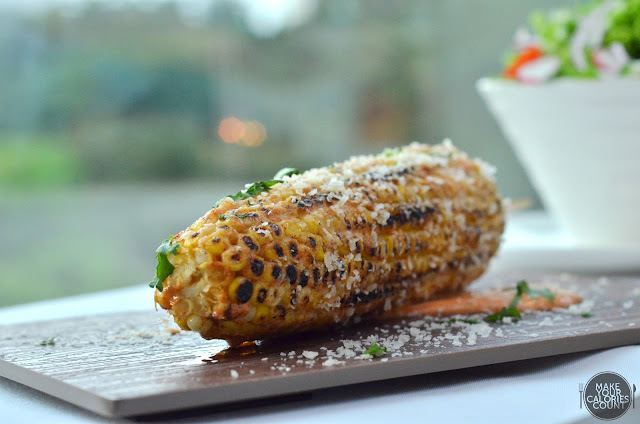 Thoughtfully sliced into quarters for easier bites, the beautifully roasted sweet corned was topped with Chipotle mayonnaise before being sprinkled with Parmesan cheese. I thought the amount of spice on the corn was spot-on for me, leaving most with the need to quench the heat with a drink! The above illustrates the portion size for two and with four types of meat available, it will not disappoint carnivores. 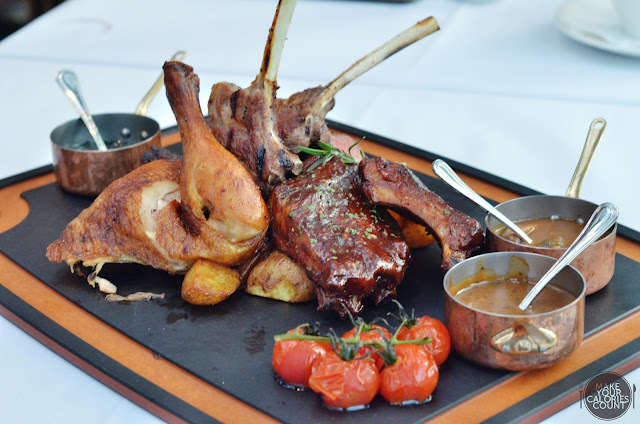 With two grilled Australian lamb cutlets, half slab of pork ribs, quarter Rotisserie chicken and 250 grams of prime rib steak, it comes alongside mint, black pepper and mushroom sauces. I thought that all meats were treated with utmost respect during the cooking process with my favourite being the ribs which one could choose between a BBQ glaze or tangy sweet berry. It was fall-off-the-bone tender and half-slab goes away quite quickly before you realise it! 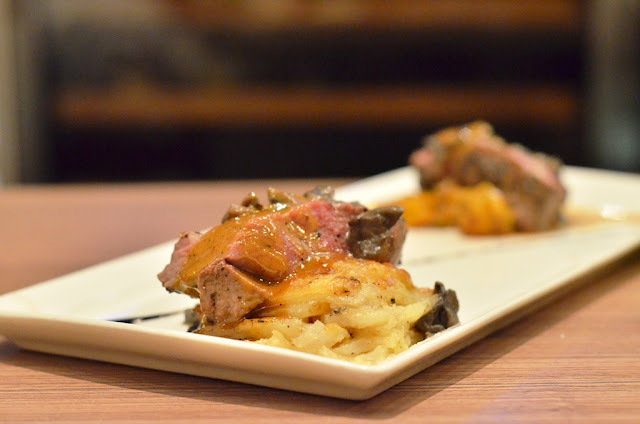 The prime rib steak was also cooked perfectly to medium rare and went really well with the black pepper sauce. The Rotisserie chicken needed no introduction as quality was consistent and spot-on, tender even for the chicken breast. While I personally do not take lamb, others at the table commented on the robust flavours without that gaminess. Overall, I thought the food ticked the right boxes for me in terms of flavours and quality. Perhaps it is my personal scepticism towards tacos and tapas but I somehow struggle in coming to terms with their price points. The meat platter however was definitely value-for-money and plenty as I thought the portion was generous for two to share. Offering a 360-degree view of the Suntec City area, I love the exquisite glass house-style design with al fresco space option. The island bar on the inside would also draw attention with its elegant decor parings. As you could probably witness from the crowd, they comprise mainly expats and office crowd on the week-days, worth a check-out if you are in the area!